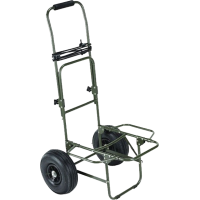 Compact trolley for ease of use. 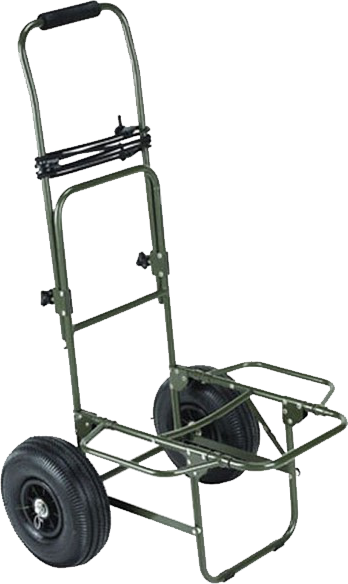 Trolley made of stainless steel with moss-green powder coating. 2 Detachable wheels. Finished with EVA handle for maximum comfort. The extra sides to the support are collapsible for transport. The trolley is adjustable in height. Delivered with two straps for safe transport of your material.